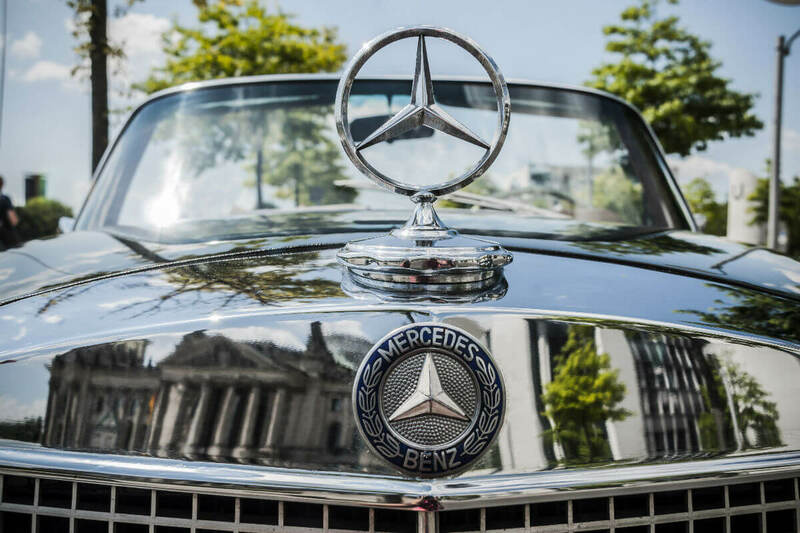 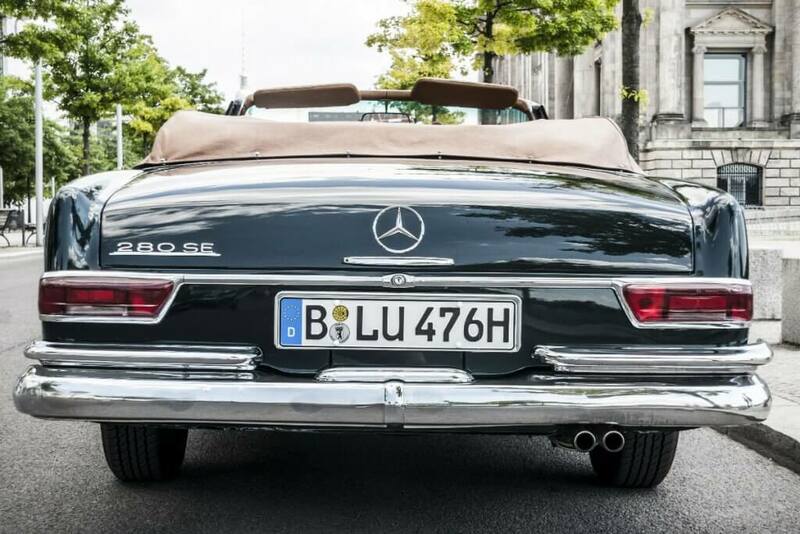 Your sightseeing tour in a vintage Mercedes convertible - Absolute unique in Berlin! 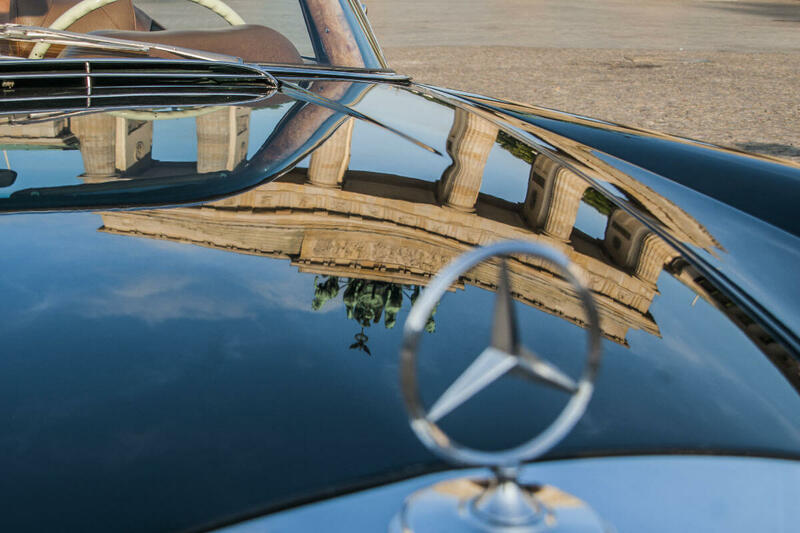 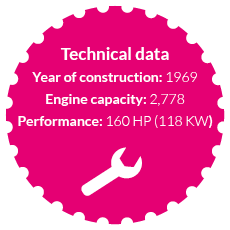 The marque presented its most prestigious coupés and convertibles of the time some 50 years ago. 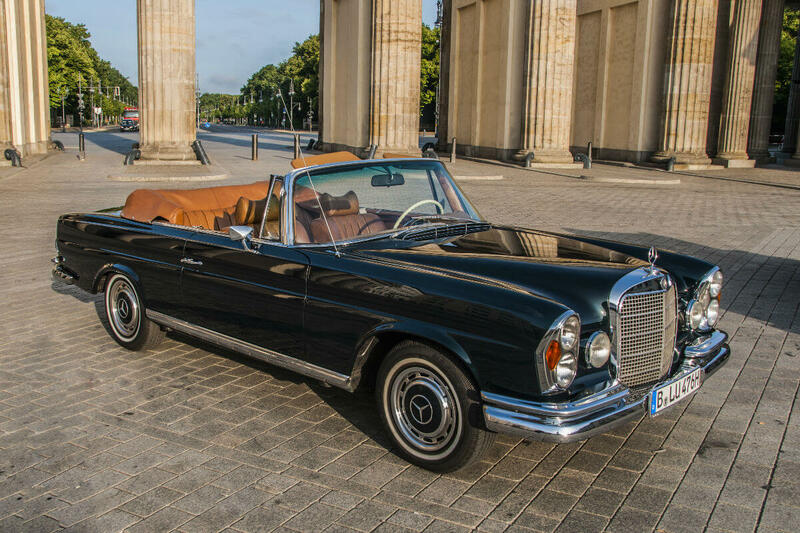 The long, stretched styling was chic and already a classic ex works, the technology the very best that money could buy. 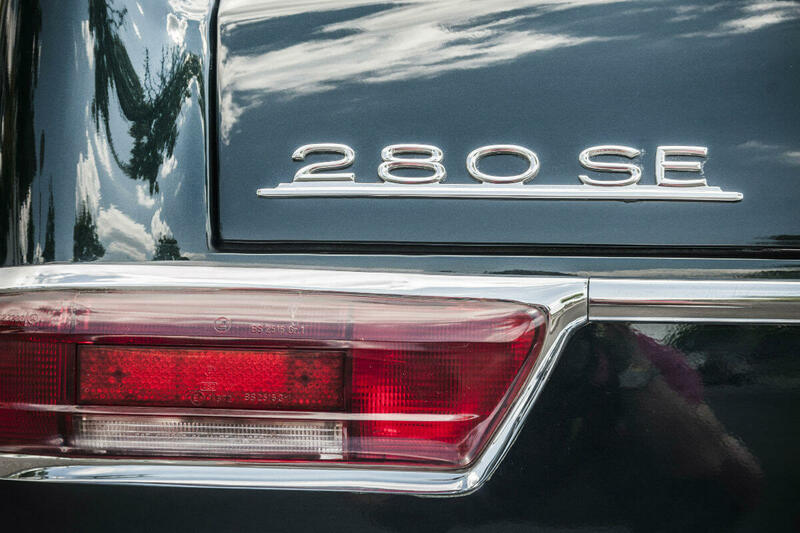 The legen­dary Mercedes designer Paul Bracq had derived it from the conservative Mercedes 300 SE rear-winged limousine. But it was always intended to be more than just its beautiful sister. 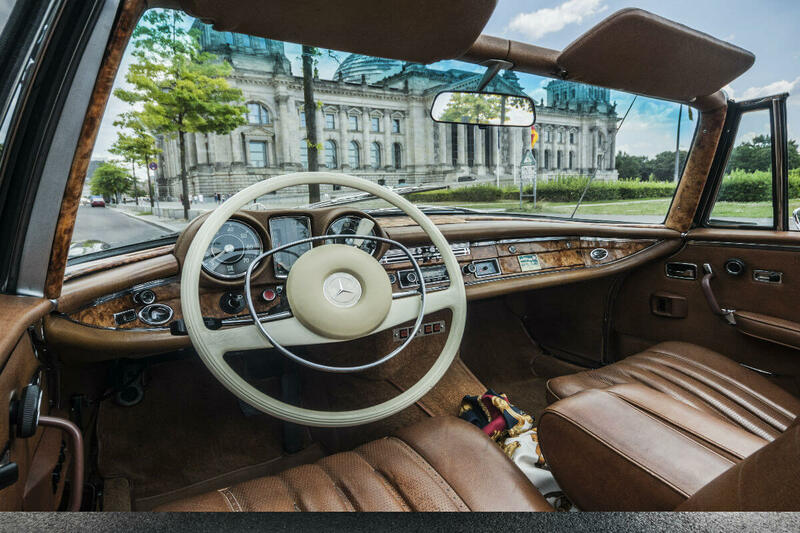 The coupés and convertibles of this series were to become the best, most luxurious two-door models – and this although only a modest 6-cyclinder engine was concealed under the bonnet (from „Die Welt“ dated 29 March 2012).